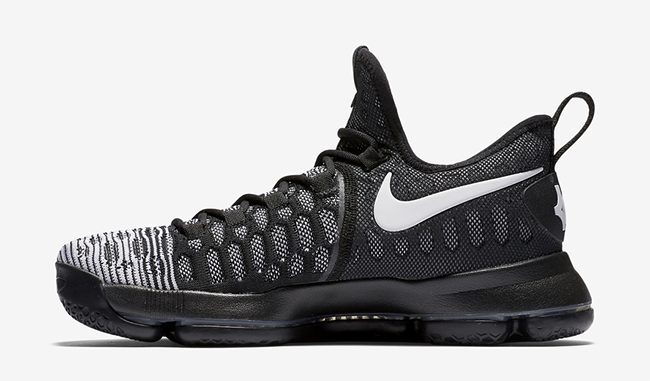 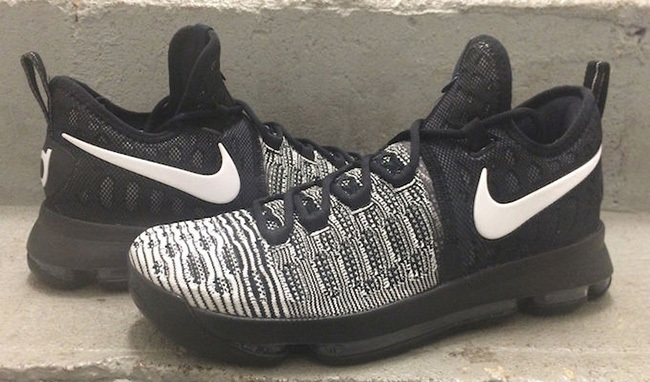 The Nike KD 9 ‘Black White’ has a simple yet interesting look that will be available right before the Summer starts. 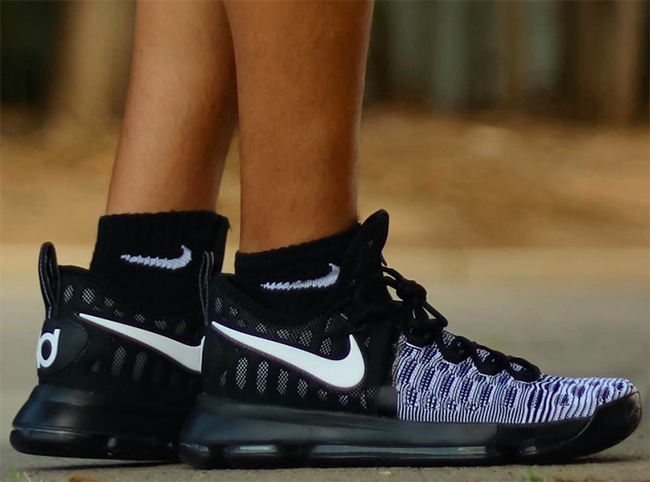 This Nike KD 9 features a White and Black mixture across the Flyknit base while as you get closer to the heel, Black takes over. 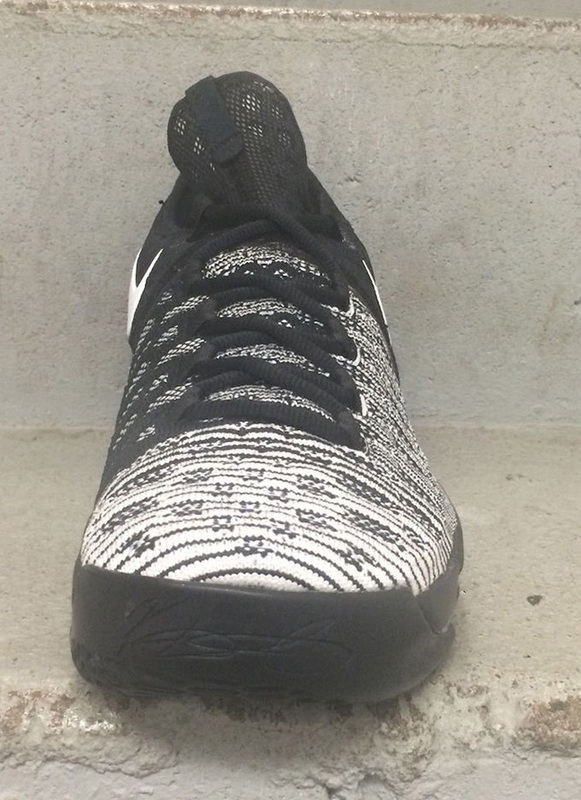 In addition, the Nike Swoosh is done in White while the midsole features Black. 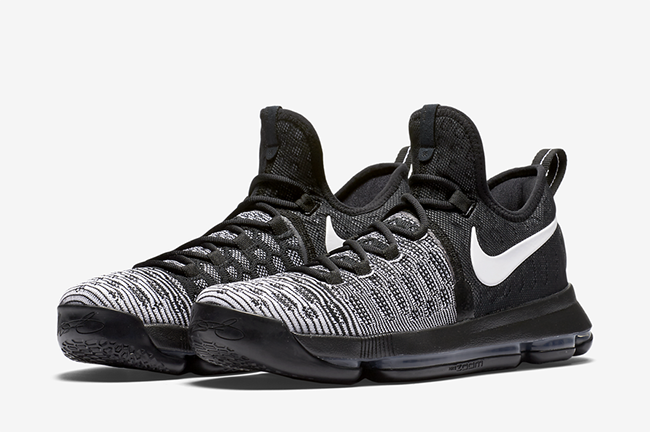 Completing this pair is a full length Zoom Air cushioning system. 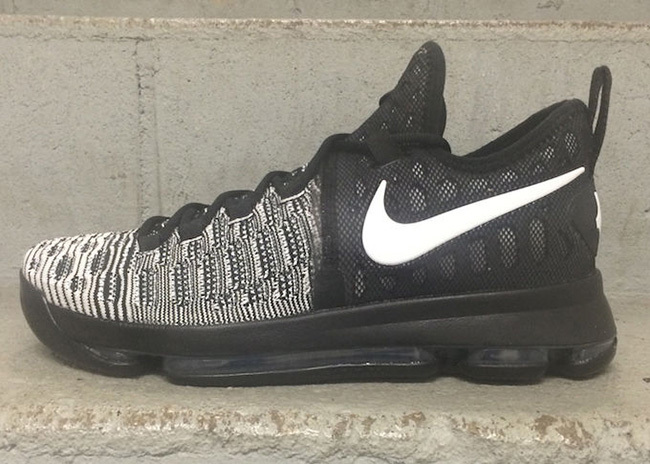 The Nike KD 9 Oreo is set to release at Nike Basketball retailers on July 2nd, 2016. 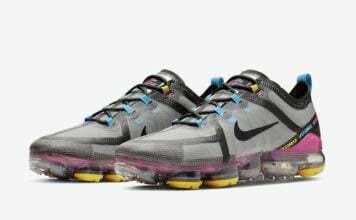 Retail price will be $150 which is a bit cheaper than it’s predecessor. 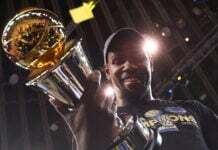 For now you can check out a few more images below and we will make sure to update you with additional information and photos once available. 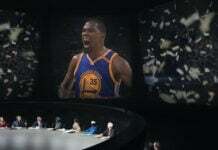 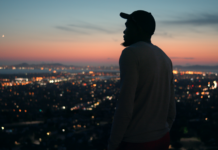 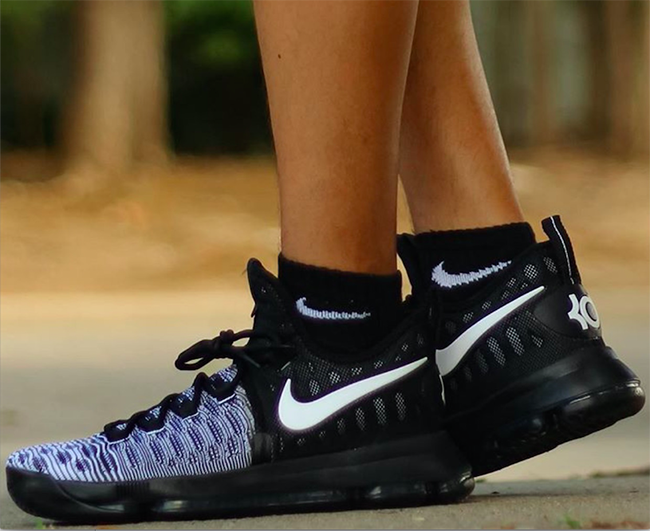 Let us know what you think of them by visiting the comments section. 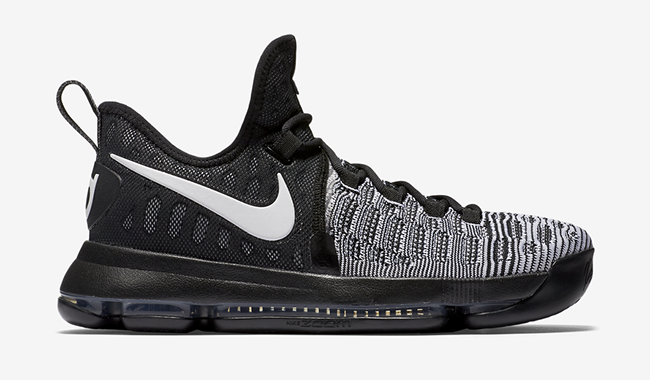 Update: Official images for the Nike KD 9 Oreo has just launched and the new release date is set for July 2nd. 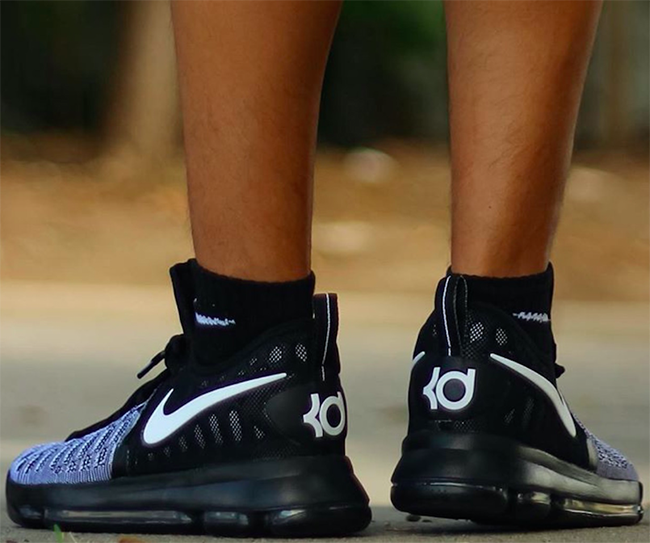 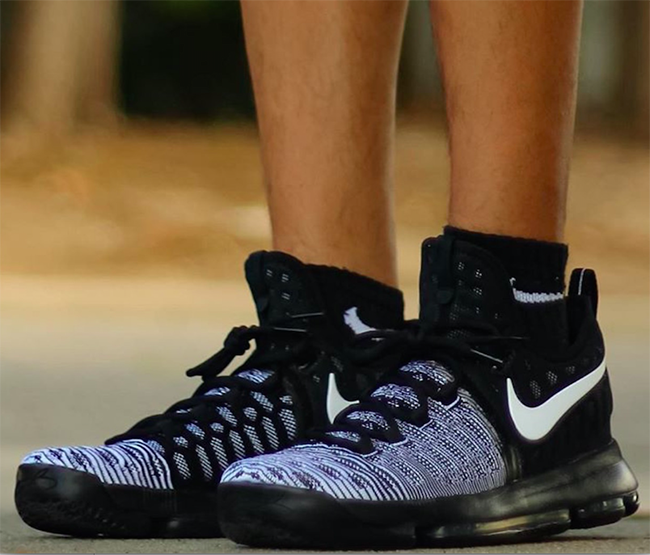 Update: We now have some photos showcasing how the Nike KD 9 Black White looks on feet thanks to Kicklahoma. 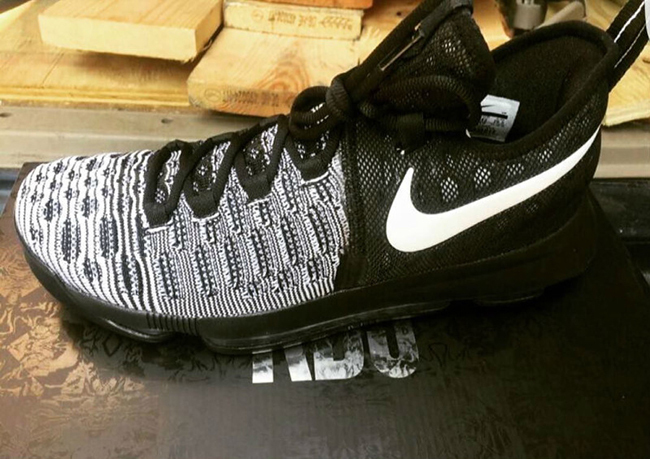 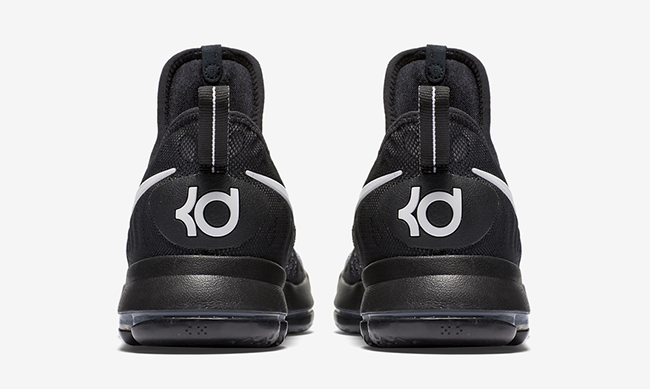 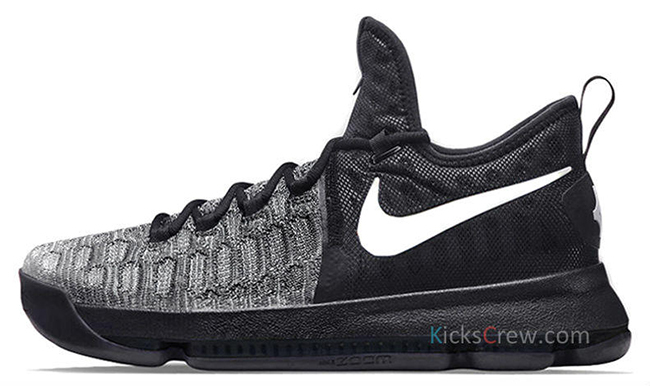 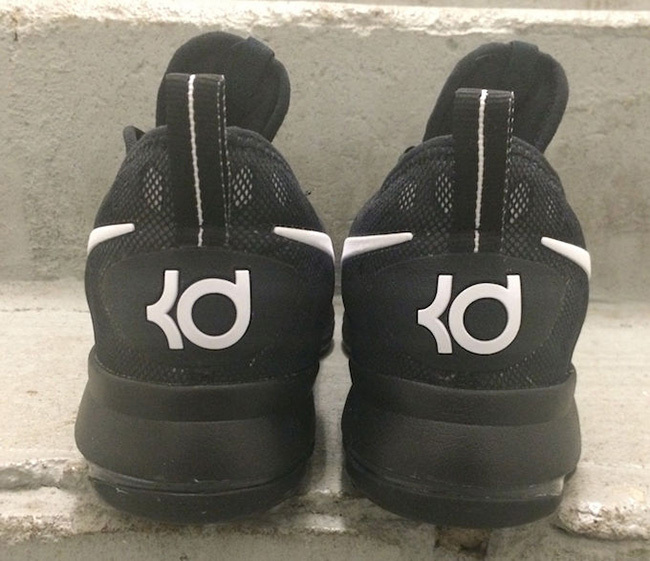 Update: New images have landed for the Black and White Nike KD 9. 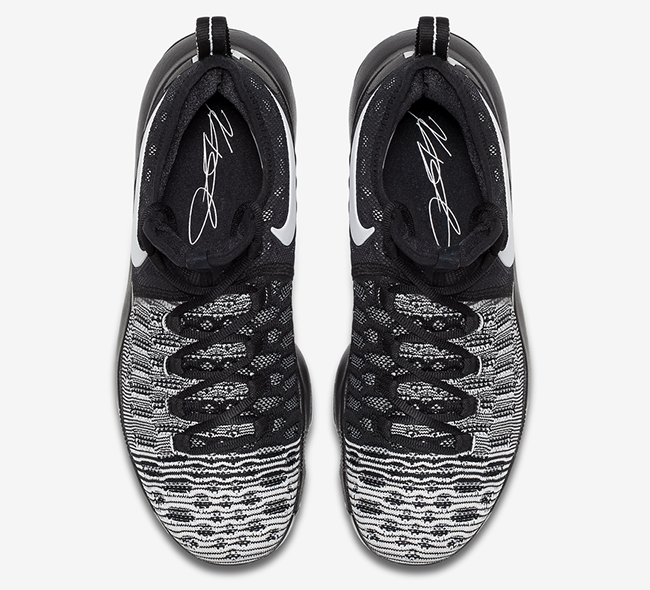 They are also available early via eBay.